Actor Elijah Wood, star of 'The Lord of The Rings', opened up to the Sunday Times about the sexual abuse of children in Hollywood. He revealed that major movie studios cover for the people responsible. Childhood stars have long been victims of Hollywood. It seems that many of them confront serious issues like drug abuse, bankruptcy, and even, in some cases, jail time. Former child actress Mara Wilson (Matilda, Mrs. Doubtfire) wrote an article for Cracked, in which she explained "the 7 reasons why child stars go crazy". While she lists several reasons that make sense, it's the fourth reason on her list that actor Elijah Wood shed light upon yesterday. In an interview with the Sunday Times, Wood opened up about sexual abuse in Hollywood. “There are a lot of vipers in this industry, people who only have their own interests in mind,” the actor said, before he went on to compare the abuse in Hollywood to that of the Jimmy Savile sexual abuse scandal in the UK. Wood, who has been acting since eight years old, noted that he was shielded from the dark underbelly of the industry by his mother, who was less concerned with his career than she was with raising a decent person. She kept him away from the parties and events where abuses would reportedly occur. Several stars were not as lucky. 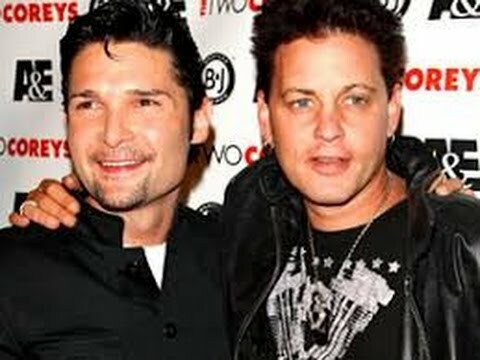 Back in the eighties, Corey Feldman and Corey Haim were the epitome of child success stories. They had successful solo careers, with Haim starring in movies such as Lucas and Feldman starring in the iconic films Goonies and Stand By Me. However, when the two were paired up in The Lost Boys, they achieved a level of fame they had not been witness to before. 'The Two Coreys' put together a string of hits, such as License to Drive and Dream a Little Dream. However, their stars seemed to burn out after their early success. They reportedly fell victim to drug abuse, which ultimately lead to Haim's early death at the age of 38. The drug abuse turned out to be a symptom of a much larger issue. As for Feldman, he wrote a tell all book called Coreyography, in which he recalls how the two young stars were told by trusted adults that it was normal for older men and young boys to have sexual relations in Hollywood. Later on, Radar online would release a police tape where Feldman names his rapists, but the police allegedly did nothing. Watch Elijah Wood discuss how we stays out of the spotlight and avoids the trouble associated with being a celebrity.